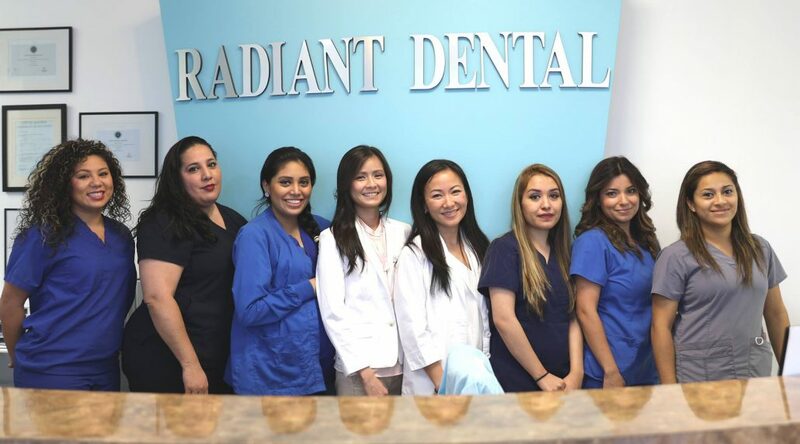 Welcome to Radiant Dental, your family’s new Spring Branch home for gentle dental care. Our dental facilities are unlike other Houston Metroplex dental practices. We seamlessly integrate the dentist and dentistry team with basic family and preventive medicine. If you’re interested in learning more about our dentists and affordable dental, call us in our Spring Branch dental office. With a knowledgeable team of dental experts, we are proud to provide Spring Branch dental services to ensure patients maintain healthy, flawless smiles. We go above and beyond to offer comprehensive gentle dental care that exceeds the highest patient expectations, but you don’t have to take our word for it. Instead, you can read our Spring Branch dentist reviews online to get to know us better before you schedule your first visit with our caring dental team and affordable dentist in Spring Branch. Our Spring Branch dentist offers a wide range of family dentistry services to help patients achieve and maintain their healthiest, happiest smiles. In addition to basic dental care, we also offer advanced restorative and cosmetic dentistry in Spring Branch. Additionally, we provide affordable dental care of all kinds for our Spring Branchpatients, and we also accept dental insurance. Why Visit Us in Spring Branch? We offer a variety of affordable dental services all under one roof. If you’re looking for affordable dental care that will be seamlessly integrated by a caring Spring Branch dentist, look no further than Radiant Dental. In addition to our family dentistry in Spring Branch, we offer affordable braces, general dentistry. We look forward to partnering with you and every member of your family to lead healthier lives.